Democratic Minority Leader Nancy Pelosi is calling on Speaker of the House Paul Ryan to join Democrats in supporting legislation to remove all Confederate statues from the U.S. Capitol in the wake of the deadly events in Charlottesville, Virginia. "The halls of Congress are the very heart of our democracy," the California Democrat said in a Thursday statement. "The statues in the Capitol should embody our highest ideals as Americans, expressing who we are and who we aspire to be as a nation." "The Confederate statues in the halls of Congress have always been reprehensible," Pelosi added. "If Republicans are serious about rejecting white supremacy, I call upon Speaker Ryan to join Democrats to remove the Confederate statues from the Capitol immediately." The Charlottesville rally was formed to protest the removal of Confederate General Robert E. Lee from a public park, before the rally turned violent and resulted in the death of 32-year-old Heather Heyer when a driver plowed through a sea of counter-protesters. The events in Charlottesville have sparked some local, state and national politicians to call for the removal of Confederate memorials. Pelosi did not remove the Confederate symbols when she was speaker from 2007 to 2011. When she was speaker, she said, Democrats did relocate a statue of Lee "out of a place of honor" in National Statutory Hall. Rosa Parks now has that place. 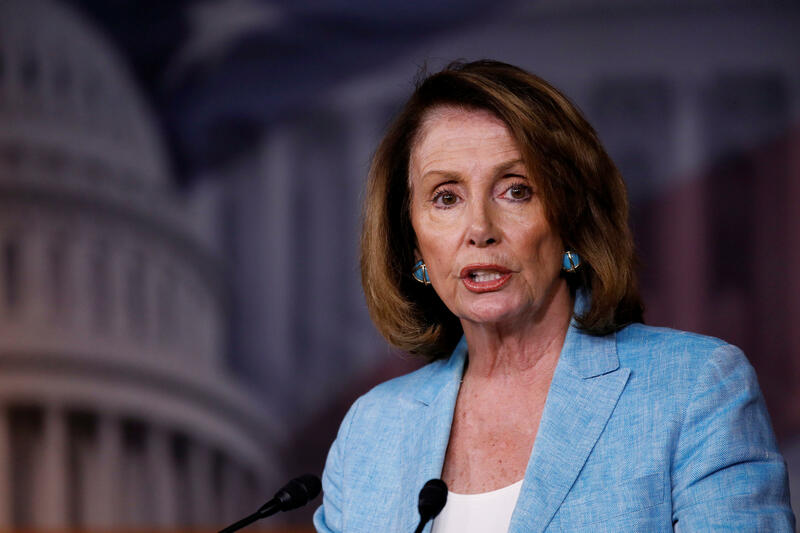 "There is no room for celebrating the violent bigotry of the men of the Confederacy in the hallowed halls of the United States Capitol or in places of honor across the country," Pelosi said. But states decide what statutes they want to send to the Capitol to honor notable people in their history. For Congress to have a say in the matter, Sen. Cory Booker, D-New Jersey, said he will introduce legislation to remove Confederate statutes from Capitol grounds. Doug Andres, spokesman for Ryan, indicated Ryan will leave this issue to the states. "These are decisions for those states to make," Andres told CBS News. President Trump on Twitter early Thursday morning decried the removal of "beautiful" statues and monuments that depict "history and culture." The president on Tuesday said he feared the removal of Confederate statutes might lead to the removal of other statues, like those of former presidents Thomas Jefferson and George Washington. "Not all those people [at the rally] were white supremacists. Those people were also there because they wanted to protest the taking down of a statue Robert E. Lee," Mr. Trump said in remarks to the press at Trump Tower in New York City on Tuesday. "So, excuse me, when you take a look of some of the groups and you see, and you'd know if if you were honest reporters and many of you are not, many of those people were there to protest the taking down of the statue of Robert E. Lee," the president continued. "So this week it's Robert E. Lee, I notice Stonewall Jackson is coming down. I wonder is it George Washington next week and is it Thomas Jefferson the week after? You really do have to wonder, where does it stop?" CBS News' Walt Cronkite contributed to this report.